Entirely done by hand, this soap enriched with walnut oil has a practical and comfortable rope that makes it easy to use during bath, whether at home or at the gym. Packed in vellum and in the original label the 190g soap, is an exclusive with attitude and product that reveals a unique way of being in life. Combining the fruity aroma of mandarin orange with light, fresh and relaxing notes of bergamot oil, and the warmth and mysterious accents of amber, this cologne is classical and elegant. Sodium Palmate; Aqua (water); Sodium palm Kernelate; Palm Acid; Cocos Nucifera (Coconut) Oil; Parfum (Fragrance); Palm Kernel Acid; Sodium Chloride; Glycerin; Tetrasodium EDTA; Tetrasodium Etidronate; Sodium Thiosulfate; CI 77891 (Titanium Dioxide); CI 77007 (Ultramarine Blue); CI 19140 (FD & C Yellow 5); Coumarin; Geraniol, Eugenol; Citronellol; Evernia Furfuracea; Linalool; Limonene; Cinnamyl Alcohol. 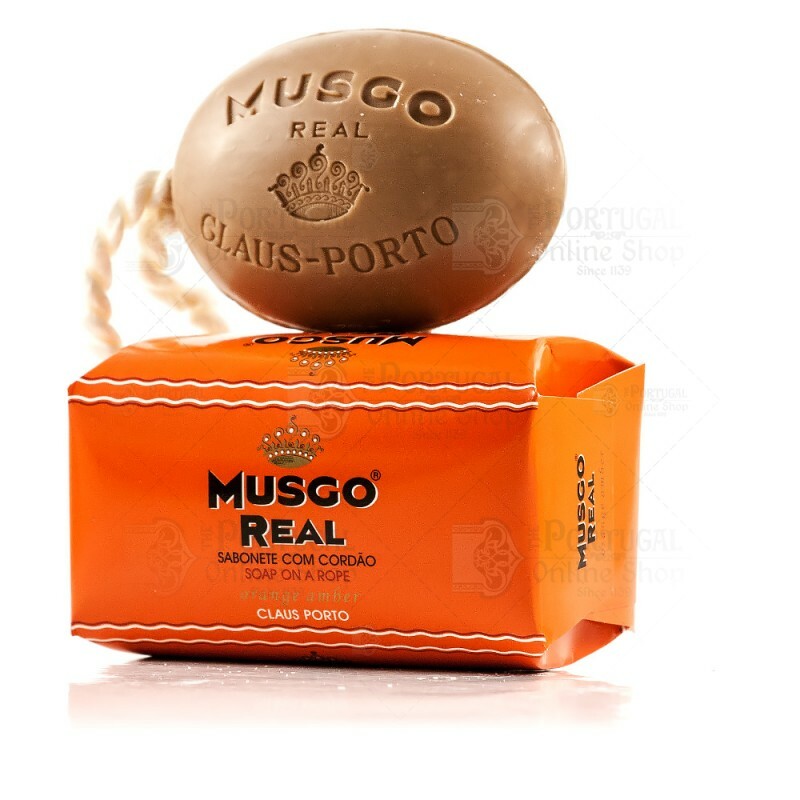 CLAUS PORTO - Luxury fine soapsThe Claus Porto story goes back to the year 1887, when two German partners, Ferdinand Claus and Georges Ph. Schweder, started the production of fine soaps for gentlemen. (Up to then soap had had to be imported in Portugal!). When they left in 1918, their Portuguese partner Archilles de Brito took over. His first step was to start his own company, but shortly afterwards he also took over the name of ‘Claus Porto’ together with the production workshops. 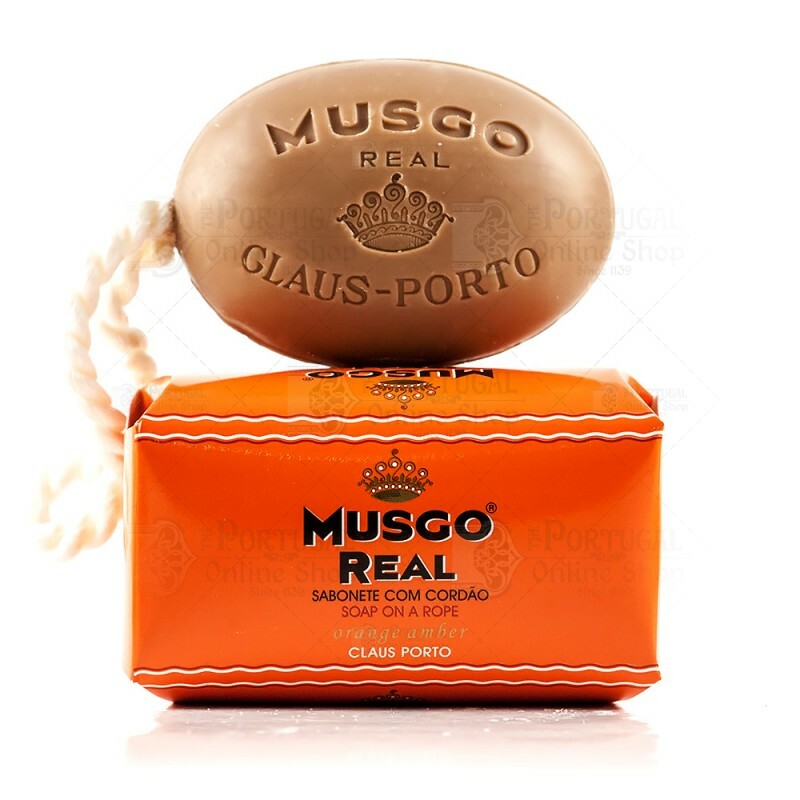 Claus Porto toilet soaps are distinguished by their particularly pleasing scent – due to the natural essential oils (from the South of France) used in their production. The also contain special oils to care for the skin. The soaps look good, too. Each bar is shaped with the maker’s name and mark (the original presses are used! ): the motifs go back to the 1920s. 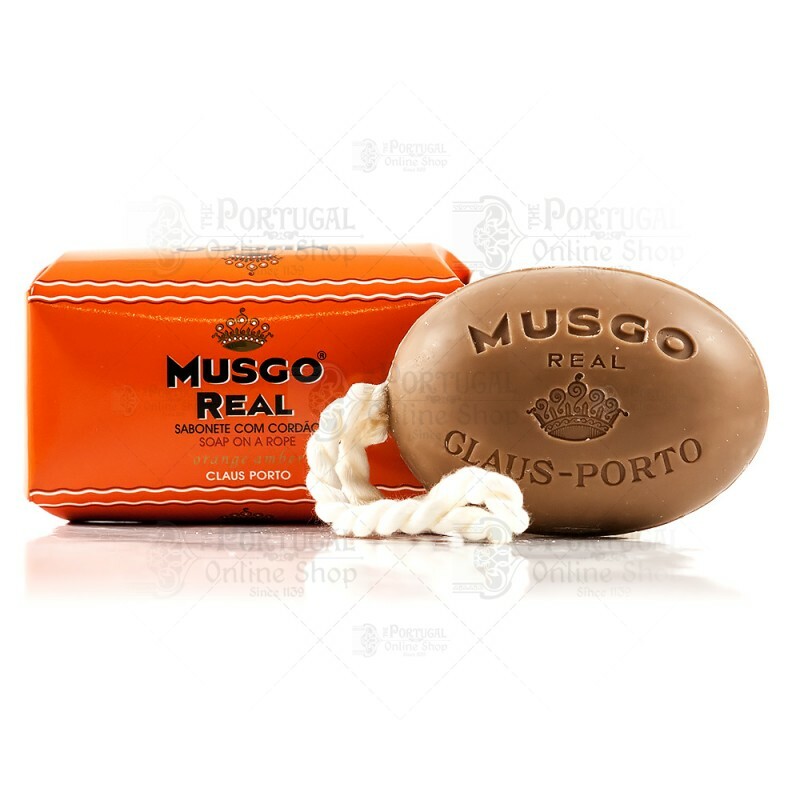 Round about this time the Claus Porto firm also started and still continue to produce – under the trade name of Musgo Real – other soaps and shaving creams that, like the original soaps, are genuinely ‘natural’, containing no synthetic aromas, perfumes or conservation agents. So what's this all about? ThePortugalOnlineShop is an ongoing and evolving project that intends, at it's major purpose, promote Portuguese products and traditions throughout the world. Showcasing many quality world-known brands such as Claus Porto / Ach brito / Confiança / 444 / Delta / Encerite / Couto / Nally / Bordalo Pinheiro / Licor Beirão / and many others! Enjoy! 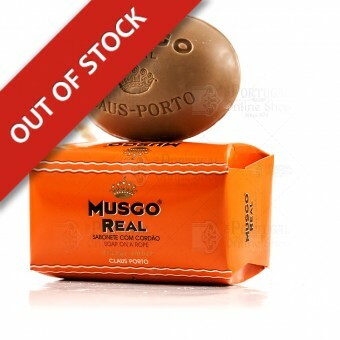 © 2011-2014 ThePortugalOnlineShop. 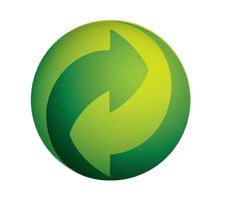 No material, text or images, can be copied without express permission.